Introducing ICICLES, the first ever card game for two people to play on a date! Join our site! | Forgot password? 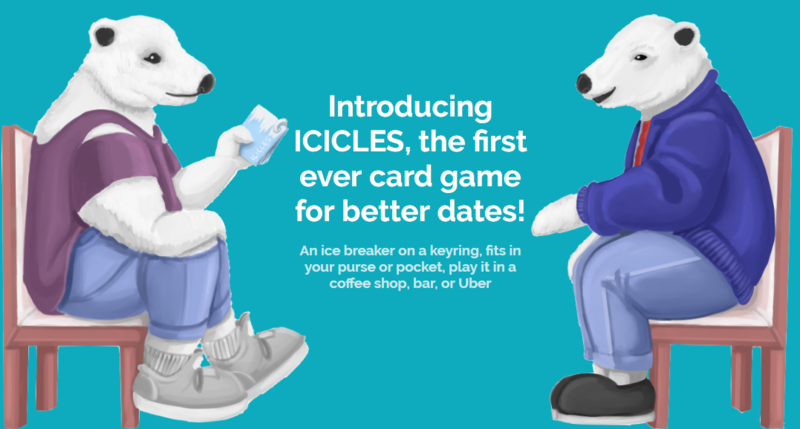 Introducing ICICLES, the first ever card game for dating! Break it out to break the ice. ICICLES uses tiny cards on a keyring that fit in a purse or pocket. Play it in a coffee shop, bar, or Uber! From the creators of theOtaku.com. Buy now - ships in time for Valentine's Day! Dedicated to the Memory of Jonathan "Desbreko" Goudy and Dan "TimeChaser" Brown.